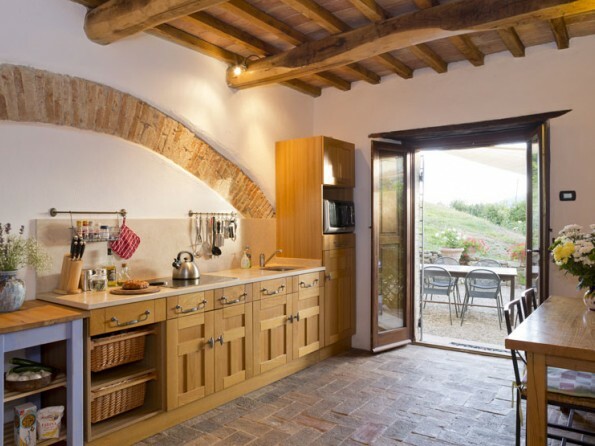 This beautiful house has been lovingly and authentically restored and boasts breathtaking views. Families will be charmed by these stylish apartments, with sweeping views, a solar-heated pool and a baby pool. Equipped with everything you need to make a family holiday a real pleasure for all the family. If you are looking for a holiday which all the family will enjoy then Alsagra is the place for you. 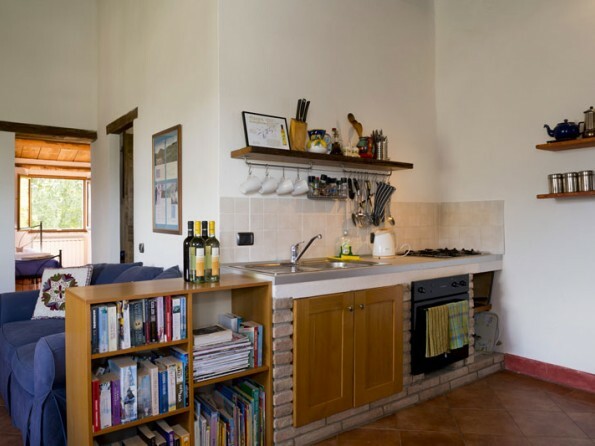 Specifically designed as a small and friendly escape run by a family for families, the accommodation is divided into 3 independent apartments all of which are furnished with original furniture will all the important little touches. Outside the apartments, Alsagra is a wonderful place which is ingenuously planned for the family to enjoy everything from the amazing gypsy caravan to the gorgeous heated swimming pool. Not to mention all the other attractions for children of all ages. 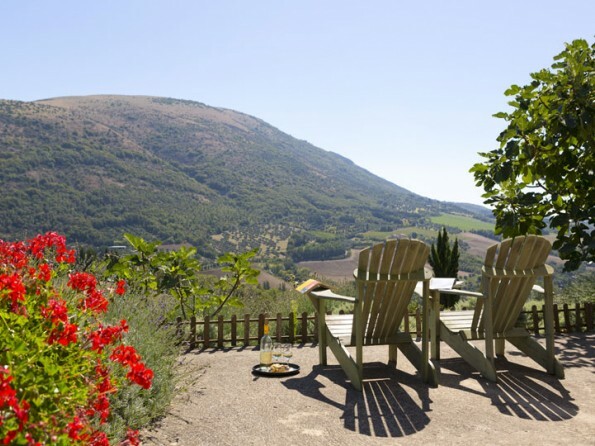 If you can bear to tear everyone away, all the delights of Umbria and Tuscany are on your doorstep. 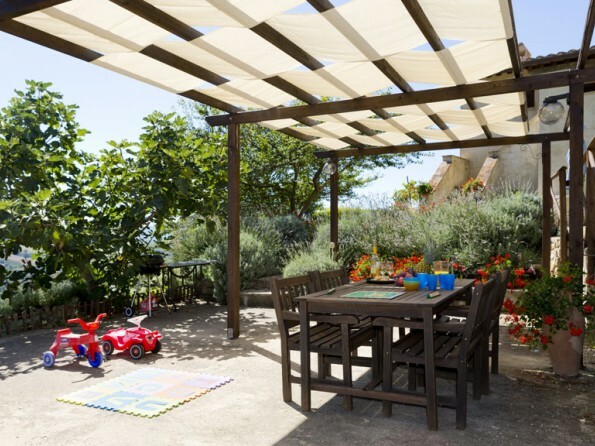 This is an ideal setting to spend time with the family, let the children explore the toys, games and activities whilst you can relax and enjoy a glass of wine watching the sun go down. 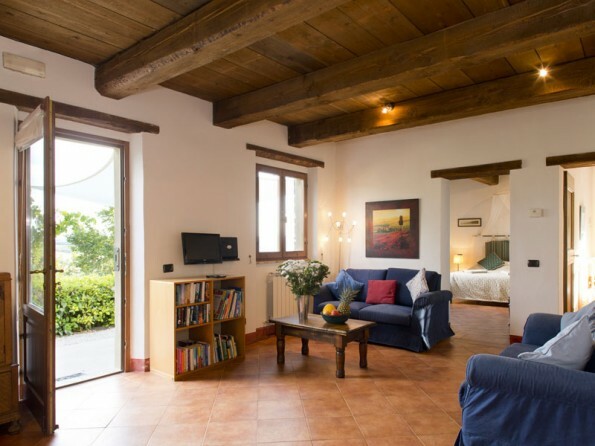 Alsagra is situated in an ideal location just a few kilometres from the border with Tuscany yet in the heart of an area of extraordinary natural beauty. Perugia, Assisi, Gubbio are all within 40 minutes drive away. Umbria is rich with history, art and nature unsurpassed beauty. Explore the caves of Frassisi, the Adriatic and Mediterranean seas are about 90 minutes away or take a dip in the thermal spas located nearby. It is easy to get about by train so take a day trip to Florence to see Michelangelo’s David or visit the Galleria degli Uffizi. Alsagra is situated near to the E45 which runs from Cesena to Perugia. 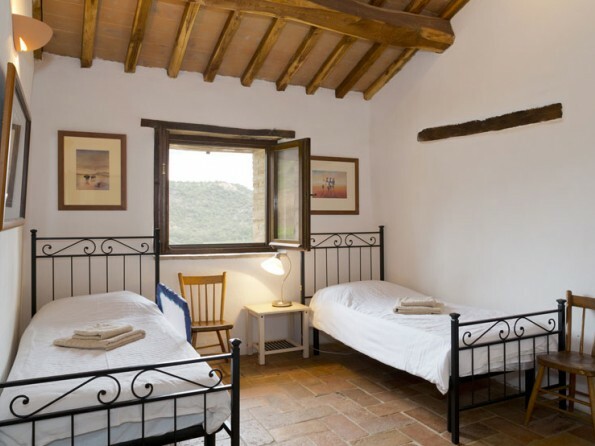 We are 10 minutes from Pierantonio or Umbertide and 20 minutes from Perugia. Lots within 10 minutes drive. The three apartments are ideal for families with children of all ages. In all the apartments you will everything from Bottle sterlisers, bibs, highchairs, baby listeners, bedguards to toys and games. All apartments have door gates making the escape of wandering little ones difficult. The kitchens are fully equipped with microwaves, kettles, oven and hobs. The beds are soft each with their own individual style. All twin rooms have single beds and can accommodate a cot or two as required. The living areas have sofas, tv and dvd player, music system and free wifi. Each of the apartments have their own unique character and charm. 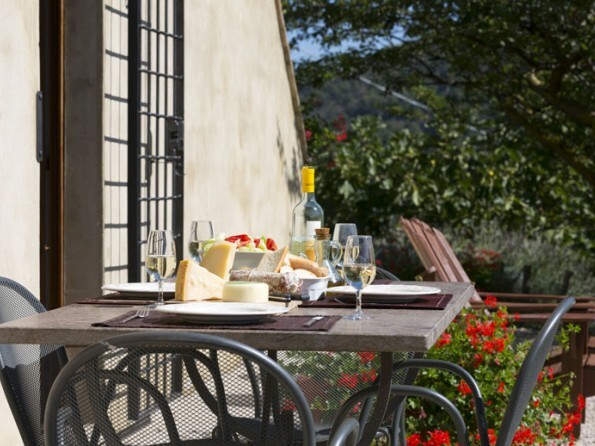 Each apartment has its own private terrace with barbeque, table and chairs for dining outside. There are sun loungers which are shaded by a uv safe sun awnings. The garden is full of roses, oleander, lavender, rosemary and abundant with fruit trees. 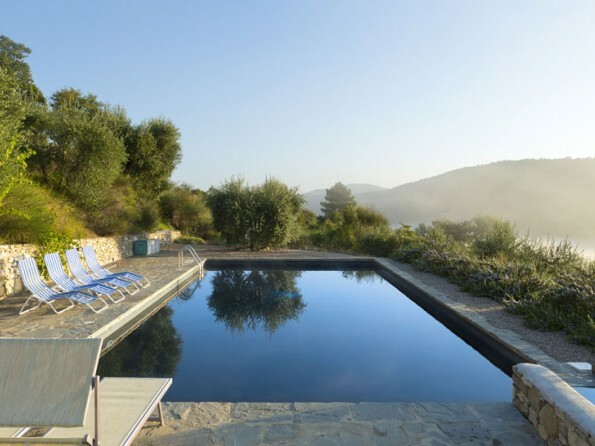 Along a short path there is a gated solar heated swimming pool with separate toddler pool with amazing views across the surrounding valleys. 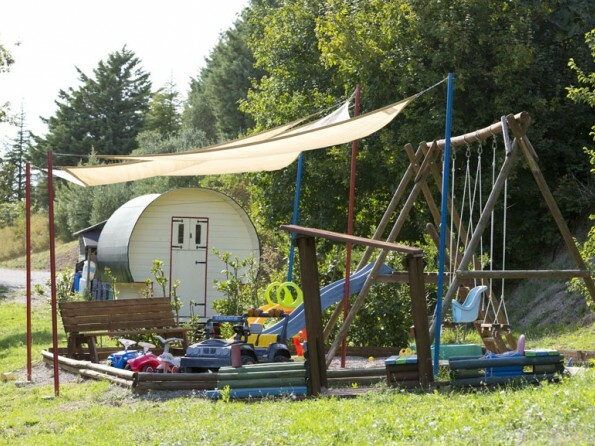 Once your family has spent enough time in the pool then they can explore the grounds which are home to a full-sized wooden gypsy caravan, zip wire, tree house and play area with slides, swings and climbing frames. 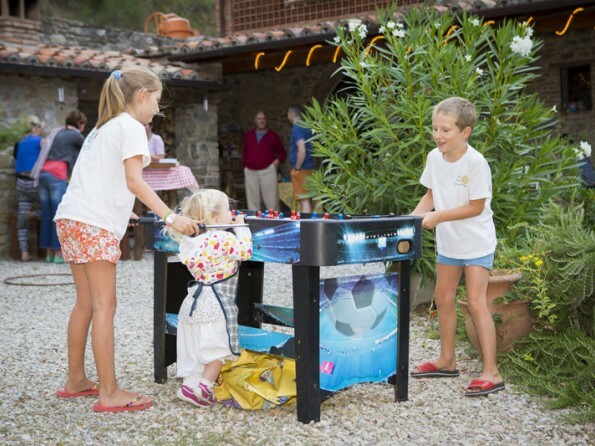 For the older members have a competition with the table tennis or table football. Alsagra is run by our family (Helen, Steve, Poppy and Mik) with families in mind. 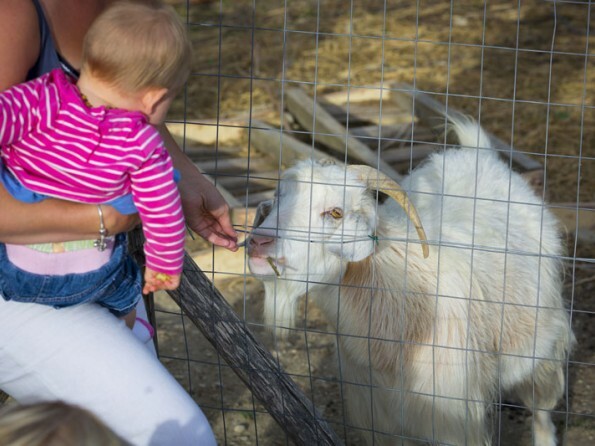 We have created a unique location for you to enjoy spending time with your children in a safe environment. Our aim is to ensure that you have a wonderful holiday and return home relaxed and refreshed. We provide as many items as we hope you need here so that you don’t have to bring them with you including buggies, highchairs, listeners to name a few. 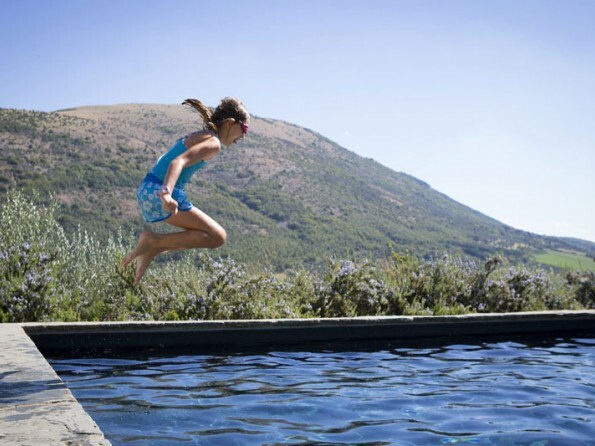 We have specifically designed the accommodation and grounds to be child friendly yet not restrictive. We continue to add to the holiday experience with new equipment or outdoor activities being added every year. Alsagra caters for families with children of all ages from newborns to teenagers. We have additional services available ranging from cooking classes, art classes and can provide meals on arrival and during your stay. 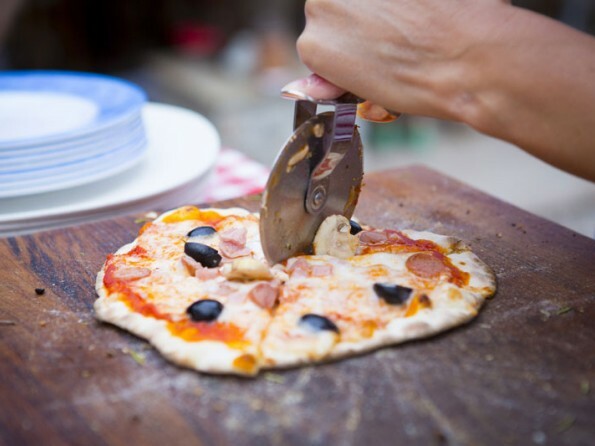 We try to hold a weekly pizza making evening at the start of your stay dependant on weather and attendance. There is a childminding and babysitting service is you need to explore the area without children.